One of our most impactful contributions to the strengthening of the region’s healthcare system has been the training and salary support of Community Health Aides. These 25 women are an important addition to the health care system because there are simply not enough Health Agents to provide knowledge and preventative efforts to the population. Though Aides are not recognized formally by the Ministry of Health, they can assist Agents at vaccine rallies and other important community health events. A number of the Health Aides have worked in collaboration with the local clinic’s head nurse, Miss Dorceley on a purely volunteer basis. This synergy with the formal health care system has allowed our organization to work together with this nurse and support her health campaigns in the community. Additionally, the training of the Community Health Aides has raised up these women in the community and given them status that most of them did not previously have. Many of these women now not only care for their neighborhoods in the context of health, but also have grown the confidence to serve as leaders in other capacities. For instance, some of these women have become presidents of Well Committees. Others are leaders in agricultural associations and have been integral in post-hurricane response. Working closely with these Community Health Aides has allowed Colorado Haiti Project to support a network of positive influence in the community. 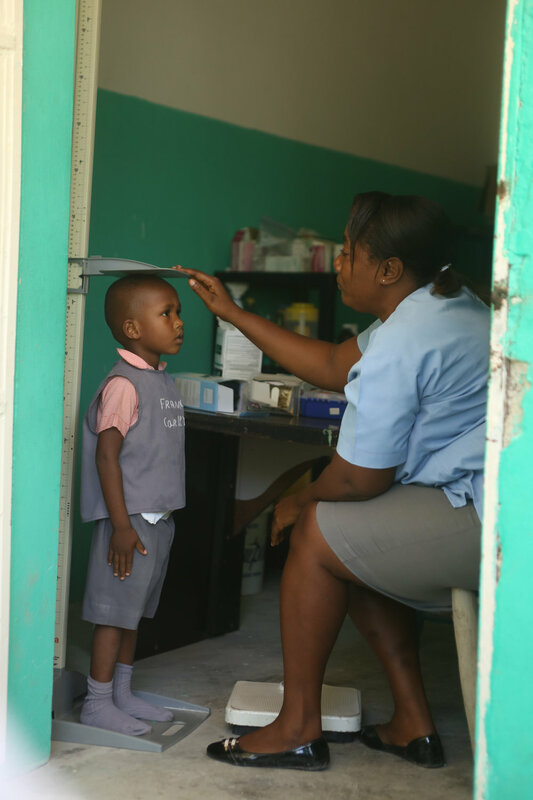 September of 2016 marked the beginning of training for 20 new Community Health Agents – formalized community health workers in Haiti’s health system. These Agents were certified and began to work in March of 2017. This will double the amount of trained polyvalent Health Agents and therefore increase access to healthcare in the community.